Following the same basic recipe as the ABT A7 revealed early last month, ABT Sportsline has now introduced a line of tuning programs for the all-new Audi A6. 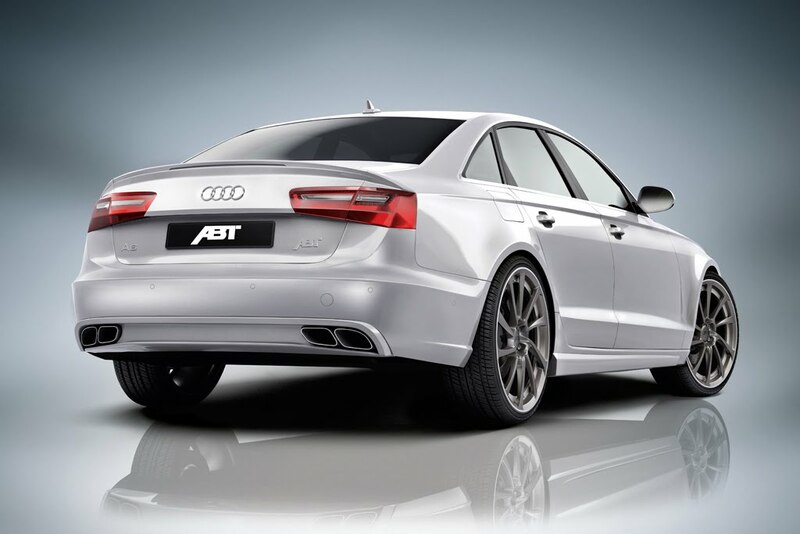 Making use of the company's POWER and POWER S tuning kits, ABT offers power upgrades for both the A6's 3.0 TDI and TFSI powerplants ranging from 282 to 410 horsepower. 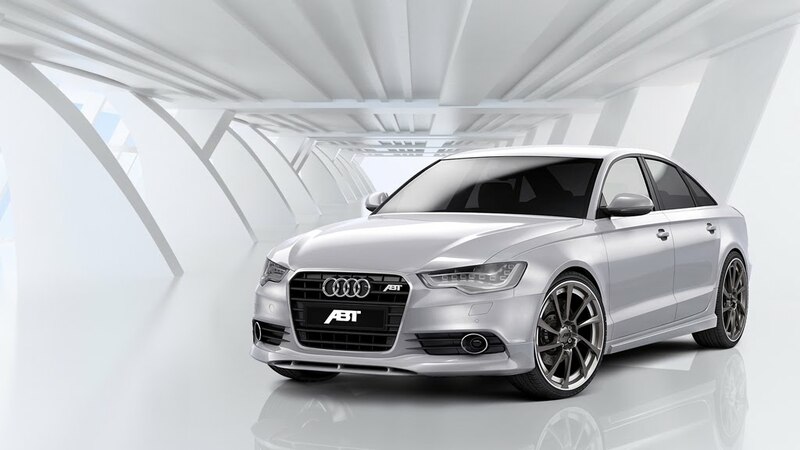 In addition to the upgraded styling and performance, the ABT A6 features all-new, "DR" design wheels. As both the Audi A6 and A7 share the same 3.0-liter diesel and gasoline powerplants, engine tuning on the ABT A6 is identical to that of the ABT A7. 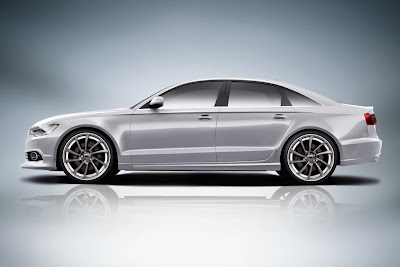 In POWER form, the 3.0 TDI's horsepower gets a bump from 245 to 282 horsepower. With the addition of an upgraded turbocharger, ABT's POWER S program boosts the A6's 3.0 TDI to 310 horsepower with 450 lb/ft of torque and 410 horses from the 3.0 TFSI. Outside, the ABT A6 sports an upgraded rear skirt with four-outlet exhaust, rear spoiler, front skirts and front spoiler; all working to accentuate Audi's latest generation design. "For us the A6 is an extravagant, straight-forward car, which doesn’t show off yet also doesn’t hide away," states ABT's General Manager, Hans-Jürgen Abt. "It is just the prefect choice for our demanding customers." Rounding out the package are a set of newly designed wheels from ABT Sportsline. Known as the "DR" design, the new wheels feature a very unique, 3D rotational design and gun-metal finish. Available in sizes ranging from 19 to 21 inches, the "DR" wheel is in our opinion, the nicest design we've seen from the Bavarian tuner. 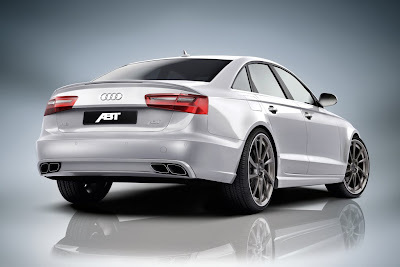 The new ABT A6 will make its official world debut at this week's 2011 Geneva Motor Show. If you plan to attend, be sure to stop by the ABT booth in Hall 5, Stand 5031. 6 is a powerful number: If you throw a six in Ludo, you reach the goal quicker, and the same also applies if you drive an ABT A6. Power and comfort make the premium car a perfect everyday companion. Long journeys can be managed with ease, but the fun already begins on short trips. Regardless of whether you choose a petrol or diesel engine, the A6 becomes a veritable sports car with a performance improvement from ABT Sportsline. In the developments for the new model from the successful A6 range, the world’s largest tuner of vehicles from the VW group also ensures that the character of noble superiority is not just retained, but is accentuated even further. Thanks to ABT POWER, the 3.0 TDI offers a high-torque and cultivated 282 HP (207 kW) instead of the series standard 245 HP (180 kW). 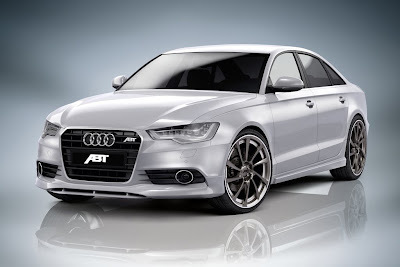 An ABT Turbocharger is additionally used in the ABT POWER S package, giving the diesel 310 HP (228 kW). 610 Nm torque ensure that the A6 can "cope playfully" with any situation. The professionals are currently working full out to develop a performance improvement for the 3.0 TFSI: The petrol engine will then bring a powerful 410 HP or 302 kW onto the road (series standard: 300 HP / 221 kW). The appearance of the new A6 can be rounded off perfectly with the alloy creations from ABT Sportsline: The designer light alloy wheels are available in 19 to 21 inch and, of course, in combination with fitting high-speed tyres. 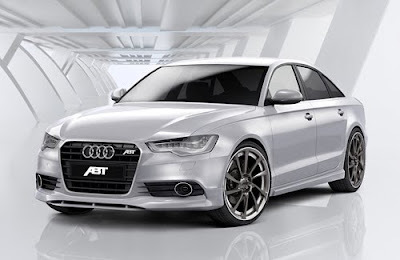 Which wheel you choose in the end is of course a matter of taste, but all the models suit the classy-dynamic appearance of the ABT A6 harmonically. One thing remains unchanged: Throwing a 6 may make you happy in the short-term, but the ABT A6 gives you lasting enjoyment.